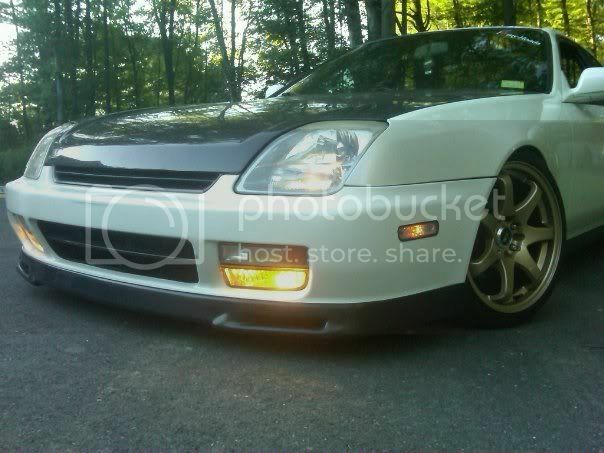 So this winter im building my prelude for boost. I got a 98 with a 95 h22a, cars converted to obd1 runnin off a tuned p28 ecu, stock motor (for now), skunk2 intake manifold, k&n cold air intake, ebay headers/ highflow cat, megan racing 2.5" piping with vibrant 2.5 race muffler. Now I also have a jdm type s head im planning on building for boost to put on the bottom end im building as well. As of now i have skunk2 high compression valves and next week im buying the Brian Crower Stage2 turbo cam. Has anybody heard good or bad things with this camshaft? I will be purchasing Brian Crowers titanium spring and retainer kit as well, with skunk2 cam gears. Thats it for the head. Anybody have any input on how that set up would work? When it comes to the turbo, to be honest for the mean time im just going to go with a t3/t4 kit cause money is tight. Ill run like 7lbs, then eventually go nice sized turbo and all the necessary components later down the road. But for now anybody know some good kits for a good price? For the block ill be getting low compression 9.5:1 pistons with eagle h beam rods. My main question for this whole post is What should I do for a Crankshaft?? Would my best bet be getting a stock one and having it machined? The reason why i need a new crank is i spun a bearing and wiped it out. I caught it right when it happened so no other damage was done, but i figured im keeping it off the road for winter anyways might as well start the build early. So if anybody knows if stock crank would be good for boost or anything like that feel free to say whatever. no need to build the bottom end for 7 psi and yes the stock crank is sturdy for any amount of abuse. just yank the crank and have it mic'd? add new bearings. that or do what i did after i spun a bearing. go to the junk yard and get a f23a block for about $100 and put it in your trunk and drive home, put your h22 head on it. Its a cheap fix for that bearing/crank problem, and less expensive to build an f block. Unless you have to have an h22. its gonna cost a **** ton to put forged pistons and iron sleeves and all in there, if I were you and I just wanted some extra punch i'd fix them bearings and hit it with some nitrous, cheaper than a turbo and just as effective, but harder to control car if spraying off the line. 8 psi isn't too much for that h22 in stock form, it will also hold nitrous very well. You'll have quicker spool with high compression also. You should easily hit at least 280 on 8 psi if the turbo pipes and exhaust is at least 2.5". As long as you have an adequately sized turbo. With n2o, and all the bolt ons you can also easily bust 280. No doubt about it im 100% not running nitrous. Nitrous is cool when its your drag car, but when im about to spend a decent amount on this build, not worth it to me. And 8.5:1 comp pistons and eagle h beam rods will be under a grand. leave the head alone. if you arent planning on making 600+ there is no need to use aftermarket valvetrain or cams. So what your saying is with stage2 turbo cams i dont need a valvetrain upgrade? just go look at his members rides thread, if you need reassurance. you cant slap a set of forged pistons in there unless you have the block sleeved. You'll chew the cylinder walls up. and sleeving is $ 1649.00. Thats why you see a lot of people running the g23 and g22 cause yo dont have to pay 1650 plus shipping, the f block has iron sleeves already. Search g23 on google. or g22. there is a guy putting 18psi on the stock f23 internals. You can have a tough bottom end for a lot cheaper, getting a junkyard f series block for a hundered bux will be just as good as a sleeved h series block once you drop in the forged pistons and rods, but you gotta get stock compression forged pistons if you don't want a 6:1 compression ratio once you put on the h22 head. the cams are a big waste of money, the factory ones are great. ^ He is right. Forged pistons are aluminum and when you combine aluminum pistons with our stock aluminum sleeve it creates too much friction and heat which fvcks $hit up. That is why it is NECESSARY to resleeve your block with iron ductile sleeves.